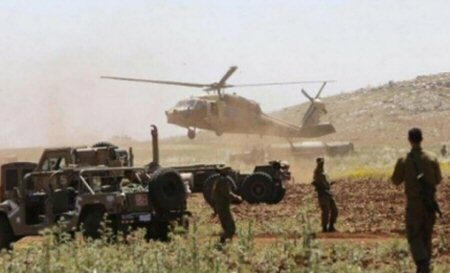 Israeli authorities officially declared, on Saturday, the confiscation of 68 dunams of land from the Ras al-Ahmar area of the Jordan Valley, northern occupied West Bank. Bisharat said that the lands are owned by 38 Palestinians families with some 200 members residing in these lands. He warned that Israel requested residents to head to the Israeli Civil Administration, for compensation. Israeli forces had destroyed a main water pipeline in the village, on Wednesday, to create a military road. Khirbet Ras al-Ahmar is one of approximately 180 Palestinian villages in the occupied West Bank, located on lands designated as ‘Area C’ — the area of the West bank under full Israeli security and civilian control — according to Israeli human rights NGO B’Tselem. The village is often raided by Israeli forces, who conduct various military operations in the area, forcing residents of the village to leave their homes for several hours or even days.